The airline’s interest in the destination is directly tied to the activities that generated exposure for the Riviera Nayarit and Puerto Vallarta in South America. 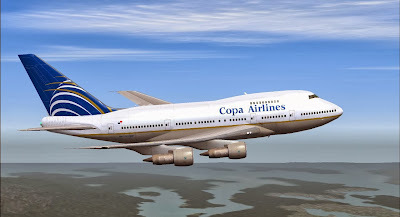 Panamanian carrier Copa Airlines and its operator Copa Vacations are setting their sights on the Mexican Pacific—specifically Vallarta-Nayarit—as a very real option to link to their services. The combined efforts of the Riviera Nayarit and Puerto Vallarta convention and visitors bureaus have begun to bear fruit with the airline, which has become the liaison between South America’s northern edge and the Mexican Caribbean. The news marks another step towards achieving the desired objectives of the People’s Government, headed by Roberto Sandoval Castañeda: to generate growth and development, improving the revenues in Nayarit. Among the attendees were several of Copa’s personnel based in Mexico, including Karla Guillén, Wholesale Manager for Copa Vacations. Personnel from the Secretariat of Tourism and the MTB we also present. The meeting took place on Monday, October 21st, in the offices of the Mexico Tourism Board (MTB), located in Mexico City. Much of the progress for this arrangement can be directly attributed to SECTUR and the MTB; their support has been invaluable. Currently, Marc Murphy and Ignacio Cadena, president of the Puerto Vallarta Hotel and Motel Association, have requested Copa Airlines to present a formal proposal to the destinations. The idea is for the proposal to include the real possibility that a direct flight between Panama and Vallarta-Nayarit could be created within a short period of time, which would then drive an investment in advertising and promotion. Should the flight become a reality, it would ensure that South American wholesalers and agencies would be even more inclined to invest in the destinations, thus avoiding multiple connections and reducing travel time, distance and costs for Latin American tourists. This effort is not a new development. In fact, the Riviera Nayarit and Puerto Vallarta CVBs, together with the destinations’ business communities, began a series of activities a couple of years ago that led to what apparently is fast becoming a reality. Among these was a letter of intent given to Copa Airlines that ensured budgetary support for advertising and promotion and which is still in effect today. A flight permit through the Transportation and Communication Department was also transacted. Since then, the Managing Director of the Riviera Nayarit CVB has been in constant contact with Copa as a reminder of the destination’s interest in establishing a direct flight, which would be a momentous development for the region.